A rare find! 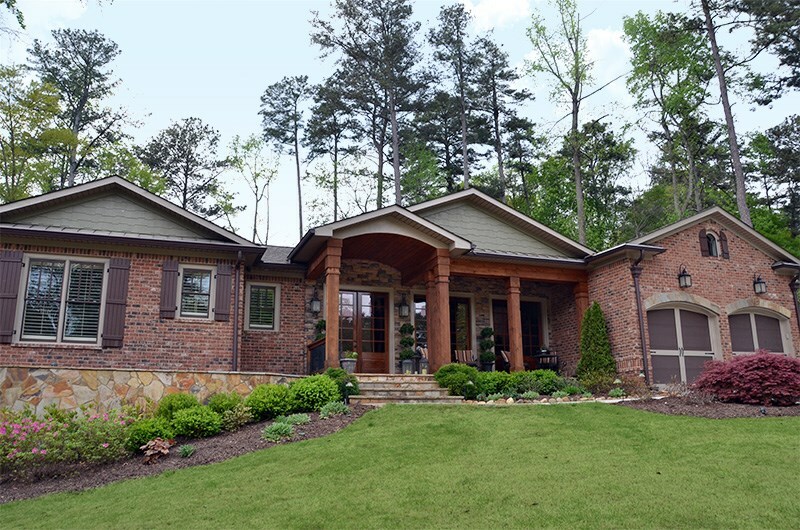 Custom built in 2010, this exquisite brick and stone ranch home with finished basement is loaded with quality construction and custom features throughout. No expense was spared! 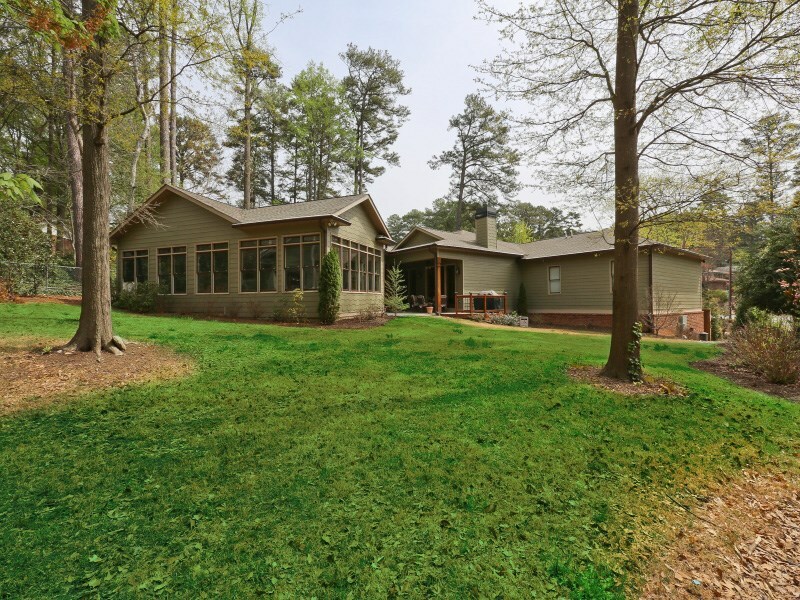 Located in top ranked Lakeside High School district on large lush .60 acre quiet cul-de-sac lot. 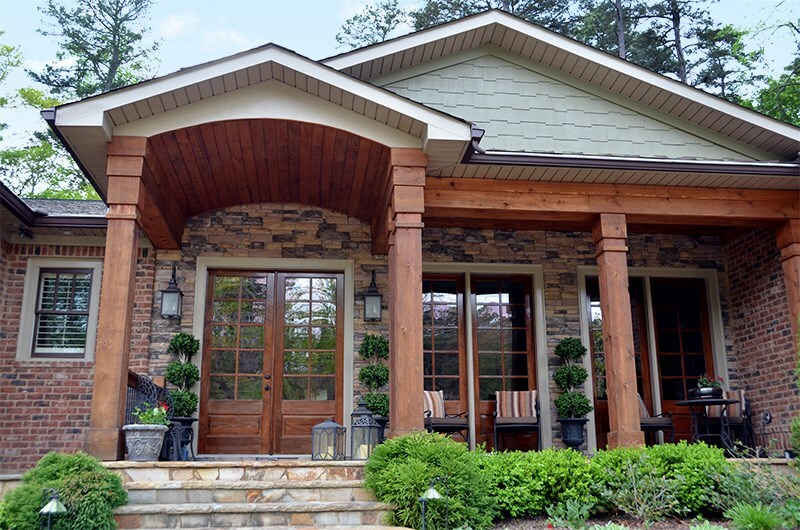 As you enter, you will see the front porch with stacked stone, pine ceiling and 12′ cedar columns, perfect for relaxing with friends and family. 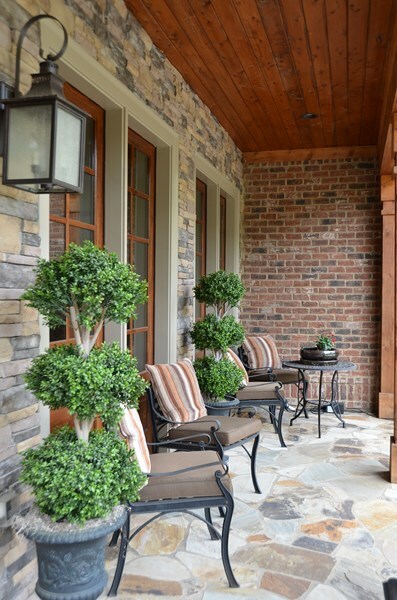 The front of the home features three sets of French doors, flooding the interior of the home with light. 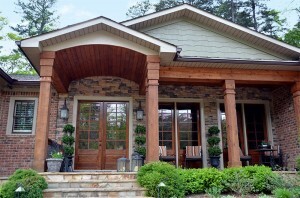 The open floorplan features formal living room with coffered ceiling and reclaimed columns. True banquet size dining room includes trey ceiling with rope lighting, wainscoting and elegant chandilier, perfect for entertaining! Enormous Chef’s kitchen with custom cabinetry which includes 11 1/2′ island with granite countertops, vegetable sink, microwave and warming drawer. The kitchen features professional grade stainless appliances which include 48″ 6 burner dual-full Wolf range with built-in griddle, pot filler, Sub-Zero refrigerator, Fisher and Paykel drawer-style dishwasher and armoire style coffee station. Kitchen opens to huge family room with floor-to-ceiling stacked stone fireplace, dual furniture-style built-in bookcases, barrel ceiling made of rich wood and French doors which lead out to large stone patio with outdoor fireplace. The owner’s suite includes master on main with gas fireplace and vintage mantle, double trey ceiling with rope lighting and French doors which lead to stone patio and flat backyard. Spa bath includes dual countertops, separate oversized shower and Bubble-Jet tub. Large his/her closets with custom cabinetry, stackable washer/dryer and entrance to private gym. Swimming and fitness enthusiasts will enjoy this amazing gym which includes an indoor Endless Swimming Pool machine allowing you to swim against a smooth current in the privacy of your home – no more crowded pools! The main level also includes three guest bedrooms and two guest baths, custom mudroom, powder room, laundry room and three car garage. Finished basement includes guest bedroom, full bath and rec room/game room which can also be used as media room or home theater. This home has central vac and is pre-wired for home automation, security cameras and whole house audio with audio-video closet. Hardwood floors throughout are pine with English Chestnut stain. 20 x 20 exterior shop includes ample space for woodworking, gardening or other hobbies and also includes a covered area for lawn mowers and equipment. Professionally landscaped with landscape lighting, irrigation system and separate irrigation water meter. Smart Home wiring system. 4 spacious pull-down attics with Energy Efficient Spray Foam Insulation. 1696 Little Joe Court is located in the Ponderosa neighborhood of Decatur. The neighborhood offers many opportunities to meet your neighbors with social events throughout the year including Spring Fling, OctoberFest, Monthly Ladies Night, Garden Club and Summer Porch Parties. The community is close to Mason Mill with walking trails, hiking and playgrounds. Several options for local recreational memberships including Dynamo Swim Club, Twin Lakes Swim Tennis Club, Sagamore Community Club Swim Tennis, Leafmore-Creek Park Club, Pangborn Swim and Tennis Club and more. The City of Decatur is a dining destination, attracting foodies from all across metro Atlanta to more than 80 independent restaurants, cafes and pubs. Southern Living named Decatur one of the Tastiest Towns in the South in 2012. Decatur has many events throughout the year including Decatur Beach Party, BBQ Blues and Bluegrass Festival, Decatur Arts Festival, Atlanta Greek Festival, Oakhurst Arts and Music Festival and much more! Learn more about Decatur, GA.
High School: Lakeside High School– 3801 Briarcliff Rd NE, Atlanta, GA 30345. (678) 874-6702. Award-winning powerhouse in education and sports! Go Vikings!